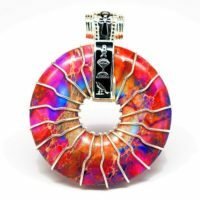 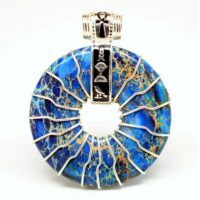 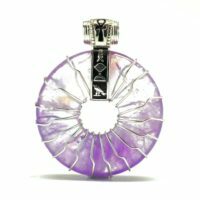 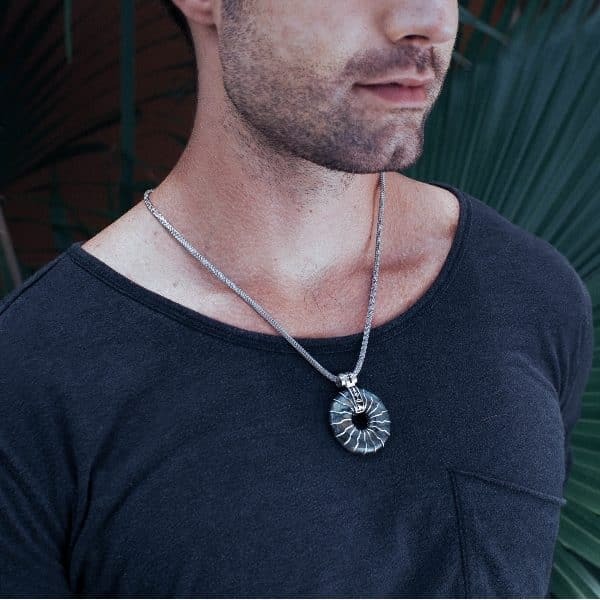 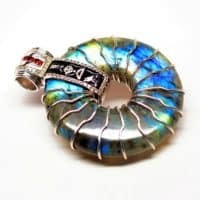 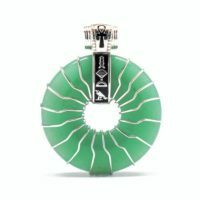 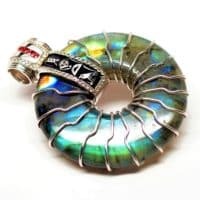 This unique stone is like no other you’ll find…with a custom designed with an Ankh and the cartouche of the Egyptian Sky Neter Horus that represent protection from evil and negative forces that impede prosperity and enlightenment. 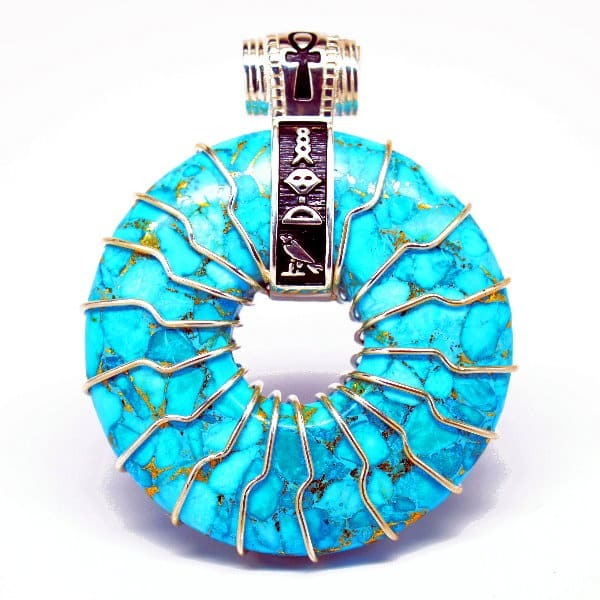 Many utilize this combination of Egyptian energy and turquoise to gain access to past life experiences and tap into Akashic Records. 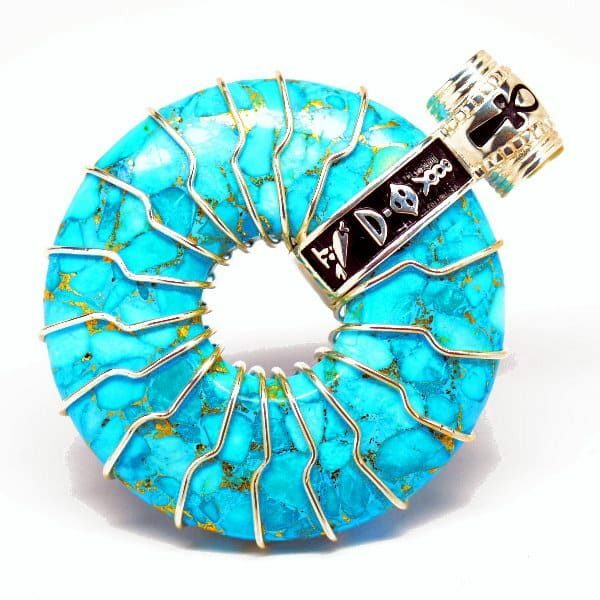 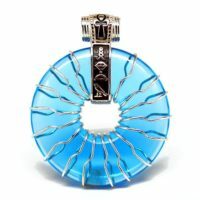 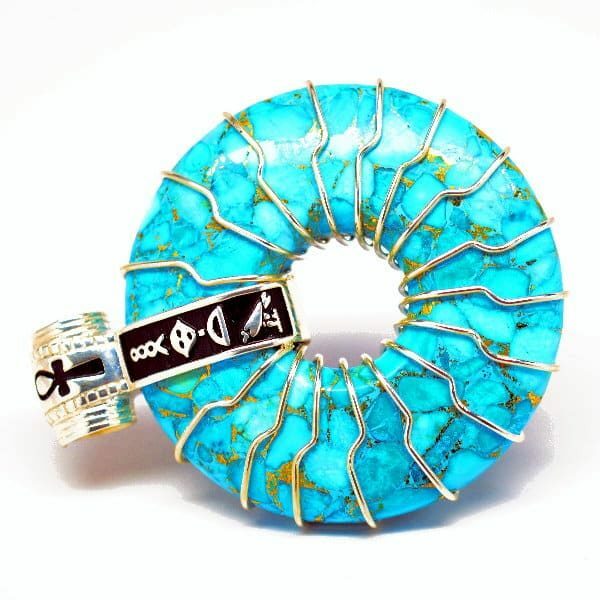 Surrounding the torus turquoise that honors the endless cycle of creation is the Sig Rune—a symbol honoring Apollo and the evolution and awakening of the subconscious. 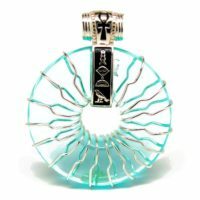 The Turquoise Solar Egyptian Amulet pairs wonderfully with Amber Cashmere and/or Sandalwood Essential Oil. 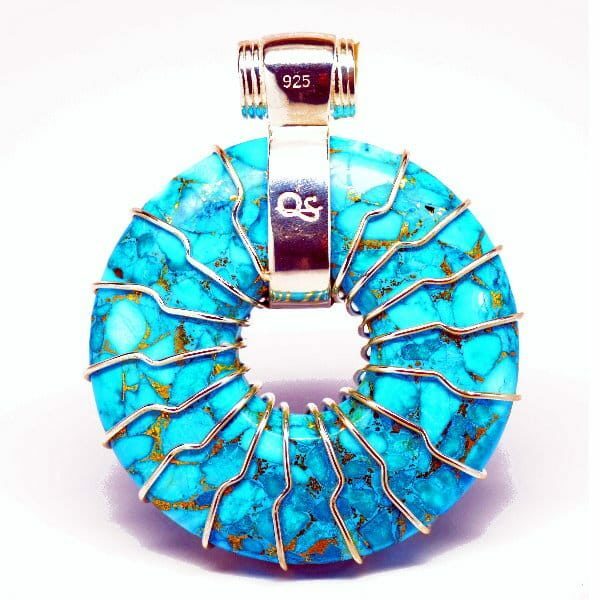 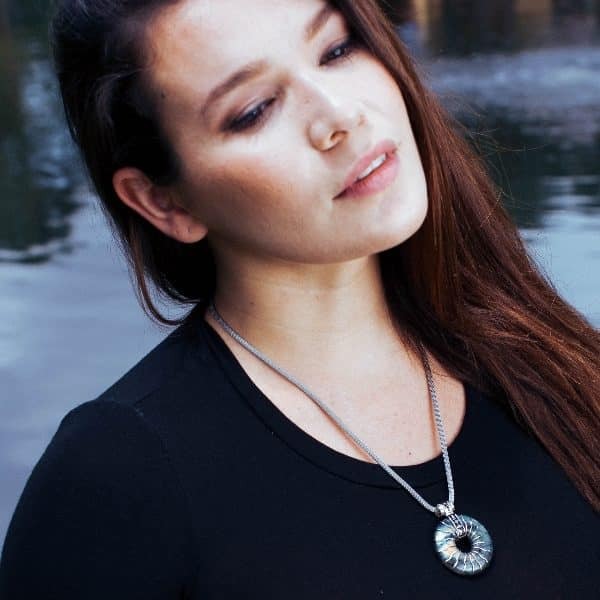 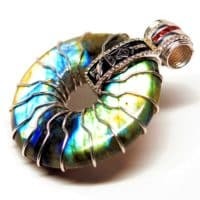 Be the first to review “Turquoise – Solar Egyptian Amulet” Click here to cancel reply.